Disney's Bob Eiger went on ABC's Good Morning America (also owned by Disney) to discuss the recent merger with 21st Century Fox. The news has been rumored for weeks, but it is now confirmed and many Marvel fans outside of the MCU are scared at what might happen to the gritty movies including Deadpool and the recently released Logan. Deadpool was the first R-rated superhero movie to come out and decimate that box office and Logan followed suit, but left the vulgar jokes behind. Critics and fans applauded Fox for having the guts to step up and make the R-rated movies as well as the success that both movies saw at the box office. Now that Disney owns them, will they get sanitized? Bob Eiger revealed that Disney is mulling over the possibility of an R-rated division of Marvel, which would be out of character for the Mouse House. Eiger specifically called out Deadpool and mentioned that it's something that is possible, but they would have to let people know ahead of time. Bob Eiger's statement seems more than a little vague, but you can read what he had to say below. "It (Deadpool) clearly has been and will be Marvel branded. But we think there might be an opportunity for a Marvel-R brand for something like Deadpool, as long as we let the audiences know what's coming, we think we can manage that fine." Walt Disney Pictures has previously distributed several R-rated films through their Touchstone Pictures banner, which they have been slowly phasing out lately. However, none of the movies released were productions of Disney. The last time the studio actually produced an R-rated film was 2006's Apocalypto. So, it remains to be seen what the deal will mean for Deadpool and other R-rated Marvel movies. 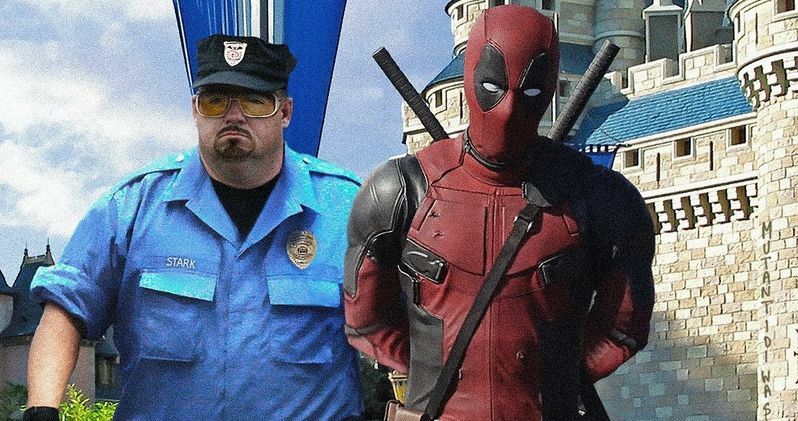 It has been said that the merger, if approved by regulators, won't go into effect for another 12 to 18 months, which leaves Deadpool 2 alone, but could have an effect on the X-Force movie. Disney is not acquiring Fox because it wants to expand the Marvel Cinematic Universe or make for fan service movies, it's doing so to compete in the direct-to-consumer marketplace, increase its library of content, while edging out Netflix and Amazon. The X-Men joining the MCU is a distant second to all of that, and not exactly essential for the company. If Disney decides to expand the MCU, they will more than likely make an offshoot to bring in the new movies to keep the MCU in the more kid-friendly area that it is in now. Again, this is more than a year away from happening, so there's a lot to go over. Though Bob Eiger was pretty non-committal about an R-rated division of the MCU, he probably hasn't spent much time even thinking about it since this deal isn't about the MCU or Deadpool or Die Hard or The Simpsons, it's about expanding the brand and acquiring exclusive titles that won't be available anywhere else. Hopefully Eiger's words ring true for the future and Disney thinks of putting out R-rated material again, like it did with Touchstone. But for those waiting for Deadpool to fight alongside the Avengers, don't hold your breath. You can read more about the Disney and Fox merger via The Walt Disney Company.